When replacing your home’s windows you don’t necessarily have to complete the whole property. On occasions you may only need to have a single window replaced, perhaps because of a broken pane or for updating to double glazing. Some window companies won’t concern themselves with single window replacement, so save yourself time and compare vetted and reputable companies with our free service. When it comes to replacing your home’s windows there are no barriers for the size and shape of the pane and frame. First and foremost you’ll have the opportunity to choose the right frame for your property, whether this is uPVC, aluminium or wood. Take into account which material the rest of your property’s windows are manufactured from, in order to maximise aesthetic appeal. 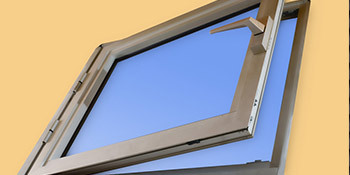 If you’re also considering replacing other windows at a later day, then uPVC could be your answer. Not only is it the cheapest of the three options available, but uPVC is energy efficient and can even be coloured to resemble a wooden appeal. Remember, when it comes to replacing your windows, double glazing should be at the top of your list of requirements. In this day and age, with energy bills forever rising, ensuring your home’s efficiency is very important. Double glazing is the most suitable way of ensuring energy efficiency too, insulating homes by locking heat in the property. With two panes of glass separated by an energy efficient spacer such as Argon, heat is unable to pass through the unit and remains in the home. As a result, homeowners needn’t up the thermostat to keep warm. This in turn reduces energy bills by hundreds of pounds on a yearly basis and cuts property carbon emissions too. Other benefits of double glazed windows include reduced condensation and less noise pollution, particularly useful if you live near a busy main road or traffic works. No matter if you’re looking to replace a window in your home with single or double glazing, you’ve come to the right place. Just complete our online form to receive up to four FREE window quotes from vetted and reputable contractors in your area. Took a lot of hassle out of looking for tradesmen, and the speed you found someone for me. I will look again if I need anything needs doing in a hurry. Quotatis saved me al lot of time and energy trying to find separate companies who install windows around my location.